Share meaningful moments that become lifetime memories. Oahu awaits your ohana (family) with one-of-a-kind adventures and activities that reveal why this beautiful island is called "The Heart of Hawaii." Travel to Gunstock Ranch on the North Shore to plant a tree in memory of a loved in the Oahu Legacy Forest. Take a customized tour of Pearl Harbor or a private yacht charter on the Leeward Coast. Learn to surf with a family whose five kids are professional surfers. And that's just for starters. You can discover hidden valleys on a UTV at Kualoa, a private nature reserve on the Windward Coast, and take a behind-the-scenes farm tour of Polynesian Cultural Center, one of the island's most popular destinations. Exploring Waikiki and Honolulu by electric bike or Segway are exciting options. The fun never stops here. 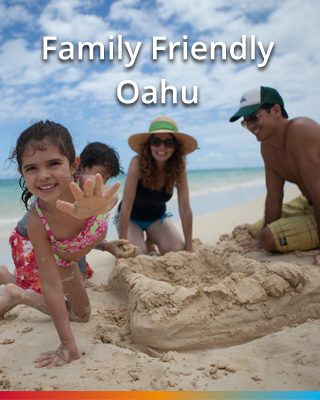 Grab the keiki (kids) and go to Oahu this year. Grab Grab the keiki (kids) and go to Oahu this year. 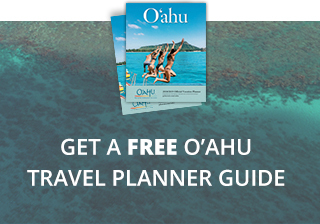 20% off ocean front resorts in Waikiki and more! 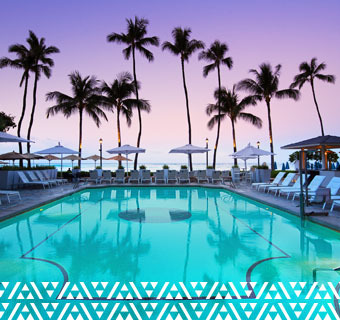 Save 20% on rooms, 35% on select dining and 10% on select spa now through May 12, 2019 when you book the Moana Surfrider, A Westin Resort & Spa, Royal Hawaiian, a Luxury Collection Resort, Sheraton Waikiki or Sheraton Princess Kaiulani Hotel. Today many families traveling with their children want to make real connections and a positive impact in the destinations they visit. On Oahu, you can take part in a major reforestation effort while enjoying spectacular North Shore scenery and outdoor adventures with Hawaiian Legacy Tours at Gunstock Ranch. 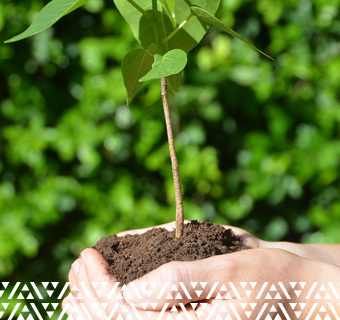 “Planting a tree is a deeply meaningful way to honor a family member or loved one while giving back to the local community,” explains Jeff Dunster, executive director of the Hawaiian Legacy Reforestation Initiative. You and your family can select, plant, and dedicate your own Legacy Tree in the Oahu Legacy Forest at Gunstock Ranch. Once home, you’ll be able to track the location and growth of your tree online via radio-frequency identification (RFID). A photo and video of you planting your tree will be permanently posted online. Plant your tree on the Planter’s Experience or enhance your day with horseback riding, off road touring, or even a helicopter adventure which all showcase the magnificent surroundings and ocean views at Gunstock Ranch. The Oahu Legacy Forest at Gunstock Ranch was launched one year ago and will eventually cover 500 acres of the 900-acre property. Hawaiian Legacy Reforestation Initiative launched their first Legacy Forest on Hawaii Island a decade ago where there are now over 400,000 trees on 1,200 acres at Kukaiau Ranch and a 700-acre Legacy Forest at Kahua Ranch. Just a year in, the reforestation effort at Gunstock Ranch has been very special. “Most trees have a story because they are planted by people who want to do something for the Earth. Tree planting has created a unique opportunity for people to come, connect, and give back to the land. People get their hands dirty and feel the mana or spirit of the plants and the land,” explains Tollefsen. Oahu is brimming with land and sea adventures that will create wonderful moments and lifetime memories for you and your family. Up on Oahu’s northeast coast, Kualoa is a 4,000-acre nature reserve and working cattle ranch with incredible outdoor adventures and Hawaiian cultural activities ideal for families. The new UTV (Ultra Terrain Vehicle) Raptor multi-passenger 4WD vehicles provide a perfect way to explore Kualoa on your own. Drive your UTV on trails deep into Kualoa’s scenic valleys and remote areas rarely visited by others. UTV tours go out rain or shine. In fact, rambling through the mud and crossing seasonal streams are part of the fun and adventure. The one- or two-hour tours take you over a saddle trail to movie filming sites in Kualoa’s Kaaawa Valley. Enjoy breathtaking scenery and the opportunity to capture amazing photos on this unique family adventure. The UTVs accommodate two to six passengers. Children must be a minimum of age five and drivers must be at least 21 years of age. Polynesian Cultural Center (PCC) showcases life in six Pacific island nations through authentic experiences and exciting theatrical events. The new PCC Farm Tour is an insider’s look at the Center’s working farm and nursery where they grow Polynesian fruits, vegetables, flowers, and decorative plants including large bananas, ti leaves, taro plants, flowering plumeria, hibiscus, and coconut trees. As you tour the farm, nursery, orchards, and fields, you’ll learn about the plants used throughout PCC in the landscaping, costumes, and dining facilities. And you’ll hear the fascinating history of Polynesian plants used for nourishment and in everyday life such as taro, referred to as the “Plant of Life” because all of its parts are used, and the coconut tree, called the “Tree of Life,” because of its contribution to daily living. Enjoy private, customized tours of Oahu with your family on Marie Turner’s Blue Hawaii Private Tours. Marie’s tours are ideal for families — whether small or larger multigenerational groups — looking for unique and curated ways to immerse themselves in Oahu. 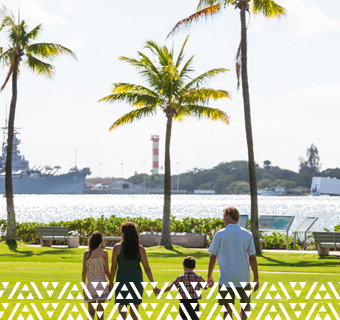 Every tour — Best of Oahu, Pearl Harbor, and the new Food & Sightseeing tour — will be tailored to your family group so that everyone is happy, engaged, and inspired by the best that Oahu has to offer. Visiting Oahu with Blue Hawaii provides you with a personalized and memorable day on smaller vehicles away from the crowds. Marie also offers customized Blue Hawaii Photo Tours for families but children must be at least age 11 and up. 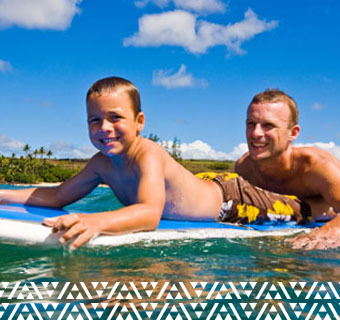 Surfing was born in Hawaii and learning to ride the waves here is a true cultural experience. Taking lessons with Moniz Family Surf is a family affair with some bona fide champions. Tony Moniz, a former pro surfer, and his wife Tammy, have four sons and a daughter (Micah, Kelia, Isaiah, Joshua, and Seth) who are all professional surfers. Tony believes in excellent customer service and has high expectations for his surf instructors. All must be “watermen” and skilled in surfing, diving, canoeing, fishing, and sailing. Book your lessons with Moniz Family Surf at the Billabong flagship store near the famous Duke’s Statue in the heart of Waikiki or at their Faith Surf Schools at Outrigger Waikiki on the Beach and Outrigger Reef. Make special family memories on a private, customized sailing charter with Bruce Morita of Captain Bruce Yacht Charters who has offered tailored off shore experiences for 35 years. Enjoy adventures aboard Serendipity, the spacious, comfortable 47-foot luxury motor yacht that accommodates up to 12 passengers, or the 40-foot Moana luxury cruiser which welcomes up to six guests. Sailing out of Waikiki, opt for sunrise, daytime, sunset, or Friday night fireworks cruises. Charters are a minimum of two hours and go up to eight hours. Longer charters from Waikiki can even head to Ko Olina on Oahu’s West Side where there are plentiful dolphin sightings. You can also book charters right from the Ko Olina Marina and spend all your time enjoying the crystal-clear waters and beautiful coastline of Oahu’s Leeward Coast. Captain Bruce has wonderful whale watching charters from December through May. In addition, the company offers an exclusive Airport Shuttle aboard the Moana from Keehi Small Boat Harbor to Ko Olina which is a 90-minute ride to and cruise around Ko Olina Resort. Pedego Bikes, one of the top electric bike brands in the U.S., provide a fun and environmentally friendly way for families to explore Waikiki. Riders of all ages can choose the model that best fits their fitness and energy levels. Simply rent the colorful Pedego bikes, book a customized tour, or enjoy one of two organized tours: the Diamond Head Hike and Kahala Excursion or the E-Bike Waikiki and Beyond Tour. When it comes to custom tours, the folks at Pedego Bikes have organized cycling and snorkeling trips to Hanauma Bay with a ride to Makapuu Point as well as a ride and hike to Manoa Falls. The owners of the locally owned Pedego Bike shop will be happy to create a special adventure for your family. Segway of Hawaii provides another family friendly way to see Oahu. And Segway Personal Transporters (PTs) are easy for anyone to master according to the company. In fact, every tour begins with personalized training by the expert Segway guides who teach guests how to glide on their own Segway PTs. With offices in Waikiki and Kakaako, choose the one with the tours you most want to take. From Waikiki, take advantage of the Diamond Head Waikiki Tour, the Sunset to Diamond Head Tour, the Kapiolani Park Tour, and the Waikiki Segway Intro Tour. In trendy Kakaako, opt for the Magic Island Glides, Honolulu History & Culture, Sunset on Magic Island Glide, and the Kakaako Waterfront Park and & Pow Wow Mural Tour. You can also book a private Segway PT activity or event for your family. Nonprofits across Oahu welcome your volunteer efforts when visiting the island. Volunteering provides your family with a way to give back and take part in the traditional Hawaiian values of malama aina (caring for the land) and malama kai (caring for the sea). Hui o Koolaupoko (HOK) implements innovative, on-the-ground projects that effectively manage and protect water quality and natural resources along the Windward Coast. Their mission: protecting ocean health by restoring the land from the mountains to the sea. HOK welcomes you to two different projects. Come volunteer at Kaha Garden, a community project where the work includes clearing invasive species, weeding, planting, and propagating plants. Volunteers are also welcome at the Heeia Estuary Restoration Project, a site aimed at improving water quality and increasing habitats for native aquatic animals by removing invasive plants and replanting native species. After volunteering, you'll head next door to tour 800-year-old Heeia Fishpond and learn about ancient Hawaiians' ingenious aquaculture technology. HOK welcomes families with kids and people of all ages, abilities, and comfort levels to their volunteer sites. To sign up, consult the HOK calendar and RSVP to Volunteer@huihawaii.org. The launch of Honolulu Biennial marks Hawaii’s first entry into the international biennial circuit. The Biennial showcases the diversity of ideas, art and culture from the people who live today throughout the places connected by the Pacific Ocean. It will include contemporary art from Hawaii, the Pacific Islands, Asia, North America, Australia and New Zealand. By exhibiting the work of artists from all around this vast region, Honolulu Biennial 2017 shines a spotlight on the collective artistic vision from this important and dynamic Pacific neighborhood. Don’t miss this special Hawaiian celebration of lei including entertainment, food booths and a lei making contest takes place at the beautiful Queen Kapiolani Park and Bandstand in Waikiki. Local art exhibitions, galleries, artist lofts, open studios & new installations. Live demonstrations, trunk shows & exhibitions at area retailers including exclusive sales! Restaurants & bars offer specials, launch seasonal menus & host live entertainment throughout the evening. Late night venues to keep you moving with DJ's, live music & dance floors. On-going, First Friday of every month from 6-9 p.m.
View contemporary Hawaii art and enjoy live musical performances. Exhibition galleries are free and open to the public during this time. Discover a unique monthly shopping experience for Hawaii's talented creatives to showcase their goods and talents. Over 60 independent artists, vintage collectors, food trucks, handmade aficionados and fashion designers are featured at each event, drawing an eclectic crowd of shoppers, music and art lovers alike. Discover unique local products and Hawaiian culture at SALT at Our Kakaako. The monthly event, held in in collaboration with PAI Foundation, features live music and is a free, family and pet-friendly event, starting at 5 p.m.
Tours will highlight popular and unique destination points within Honolulu neighborhoods in the Biki bikeshare service area and offer authentic historical and cultural content developed locally. Offers cultural tours for visitors to access the sacred Hawaiian wahi pana, Loko Ea fishpond. Travel2change is a onestop shop for finding and booking impactful travel experiences that give back to Hawaii's nature and culture. 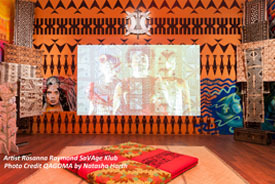 Explore contemporary art connected by the Pacific from more than 50 artists and art collectives at this international contemporary art exhibition that brings together artists from Hawaii, the Pacific, Asia, and the Americas. The exhibition will run from March 8-May 5 at a dozen locations throughout Honolulu. Participants can enjoy public programming including art-making workshops, artist talks, dance performances, film screenings, fashion shows, and live music. The 9th Annual Mele Mei Celebration is going to be the biggest year yet! Music and hula events are held from April through June at various hotels, venues, on the beach and statewide. From ukulele to steel guitar, traditional Hawaiian music to slack key, island reggae to rock-and everything in between-Mele Mei has something for everyone. CONTACT 2019 is the sixth-annual exhibition of contemporary art in Hawai‘i. Installed in unconventional (and unexpected) venues throughout Honolulu, CONTACT 2019 will bring innovative exhibition strategies to Hawai‘i's art scene. The show will feature curated artwork by Hawai‘i'-based artists focused on the notion of spiritual contact in Hawai‘i. CONTACT 2019 will also include a suite of public programming (talks, films, engagements, etc.). The major elements of the project are Celtic-themed music and dancing, athletic competitions, a highland dance competition, and displays of hand-to-hand combat. There will also be informational displays of genealogy and the history of Scots in Hawai`i, and vendors selling food, drinks, and Celtic-themed wares. This year the festival is again being held at beautiful McCoy Pavilion at Ala Moana Beach Park, Honolulu. The Hapalua is the largest half marathon in Hawaii. The beautiful course is open to everyone and there is no time limit. The perfect place to start for runners working toward completing a marathon. The annual LOTTE Championship features a star-studded field of marquee pros who grace the world stage of ladies’ professional golf. The 2017 LOTTE Championship presented by Hershey will tee off at Ko Olina Golf Club in Kapolei. Hawaiian Music Masters Youth Outreach and Community Reinvestment and Live From Waimānalo Promotional Program This gathering of more than 150 of Hawaii’s best musicians and hula dancers is held annually in Waimanalo to acknowledge the musical heritage of the Waimanalo community and to honor Gabby Pahinui and his contributions to Hawaiian music. The free event includes educational and informational booths that support athletics and community groups, and arts and craft vendors. The Waikiki SPAM® Jam is an exciting annual street festival that takes place on Kalakaua Avenue in Waikiki. The event celebrates the unusually high consumption of SPAM® in Hawaii and features a variety of Honolulu’s finest restaurants serving up SPAM®-inspired creations. Two entertainment stages provide non-stop entertainment consisting of several of Honolulu’s finest restaurants which will be serving up Spam in many different ways, so you can experience the enormous variety of its applications. A variety of Hawaiian craft booths will also be set up on the street. The annual John B. Kelley Haleiwa Metric Century Ride begins and ends in Kaiaka Bay Beach Park on the Northshore of O‘ahu. The course takes riders through Haleiwa Town, out towards Kaena Point, then back along the shores past Waimea Valley, Sunset Beach, Kahuku, and Kaaawa. All skill levels and ages are welcome. A month-long celebration to highlight native Hawaiian arts, artists and cultural practitioners called Maoli Arts Month (MAMo). Celebrated during May in Honolulu with popular exhibitions, arts markets, trunk shows, and the extraordinary MAMo Wearable Art Show. Triathletes from around the world visit Oahu each May to compete in the Honolulu Triathlon. The Honolulu Triathlon offers several sporting events and features the famous Olympic and Sprint Triathlon. People of all ages and skill levels are welcome to join our race and compete against fellow triathletes from around the world. Every year on Memorial Day, thousands of people gather together at Magic Island at Ala Moana Beach Park to honor ancestors and loved ones who have passed away. More than 1,100 candle-lit lanterns are set afloat on the ocean, a traditional Buddhist rite originating in Japan. The ceremony also combines the local culture of hula with the Japanese Shomyo Choir and Taiko drums. This special three-day celebration begins with Hawaiian festivities on Friday evening, including a block party where last year, more than 40,000 people enjoyed the entertainment and food. The celebration includes a hula festival held at Ala Moana Center, where spectators have the rare opportunity to see hula groups from Japan perform with Hawaiian hula halau. The event culminates with a grand parade along Kalakaua Avenue in Waikiki. Mango Jam Honolulu (MJH) is a family event with FREE fun and award-winning entertainment for the whole family. A two-day lifestyle event featuring Hawaii’s favorite summer fruit, the mango, MJH offers a multicultural mix of life entertainment, food and craft booths, a beer garden, and a farmer’s market. Activities include the Mango Recipe Contest and Mango BBQ Cook Off. This colorful celebration honors the reign of King Kamehameha, who was responsible for uniting the Hawaiian Islands under his rule in 1795. The parade proceeds from Iolani Palace to Kapiolani Park, starting at 9am and features brightly decorated floats, energetic marching bands and traditional pau riders, who represent a Hawaiian royal court on horseback. The parade traverses the streets of Honolulu, from Downtown through Waikiki, and ends at Kapiolani Park where you can enjoy the Hoolaulea from 10am to 4pm. For the 27th consecutive year, Ala Moana Center will present locals and visitors with one of the largest and most spectacular fireworks shows in the country. In addition to the fireworks, Ala Moana Center will offer a weekend’s worth of live entertainment and a mall-wide shopping savings pass. Annual Hawaiian Slack Key Guitar Festival "Waikiki Style"
This event promotes, preserves, and perpetuates Hawaii's 189 year old indigenous guitar art form that began in 1830 on the Island of Hawaii. The festival presents a unique, authentic taste of Korean culture through food, dance, art, music and entertainment. Visitors have the opportunity to enjoy perusing through the various unique products and savor their favorite Korean food, such as kalbi (BBQ shortribs), bibimbap (mixed rice and vegetables) and kimchee fried rice. Hawai'i’s premier cultural showcase, a celebration of Hawaii’s music, dance and history intended to preserve the unique island traditions. 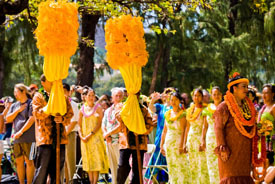 Signature events include the Waikiki Hoolaulea block party and the Floral Parade. Join more than 100 of the world’s biggest culinary superstars for this culinary adventure. Experience the natural abundance of Oahu this fall. Featuring world renowned culinary masters, winemakers and mixologists. Highlights include beachside dinners, fireworks, and popular Urban Luau with celebrity chefs from the hottest restaurants from coast to coast. Rainbows over Waikiki leads of HONOLULU PRIDE™ with the hanging of 160 ten foot tall Rainbow banners through Waikiki. Events include: Nation Coming out day at University of Phoenix Kapolei Campus, a month of artist recognition at Arts at Mark's Garage, film screenings, fashion shows, theme parties, Youth LGBT workshops, trainings and tastings, all leading up to a Parade on Kalakaua Avenue and a Festival at the Waikiki Shell Diamond Head Greens. The Vans Triple Crown of Surfing (VTCS) has emblazoned the most exciting aspects of the sport – famous waves, the world’s best surfers and the crowning of world champions. The legendary VTCS returns to Oahu to celebrate its 36th year Nov. 12 – Dec. 20, 2018. The three-part series lasts 39 days and begins at Haleiwa’s Alii Beach. The second stop is the Vans World Cup, which takes place at the deep-water big wave venue of Sunset Beach from Nov. 25–Dec. 6, and the third and final event, the Billabong Pipe Masters, can be witnessed at Pipeline from Dec. 8–20, 2018 where both the Vans Triple Crown and World Surf League Championship Tour simultaneously conclude to crown the 2018 world champion and VTCS series winner and event winner. Decorated F-104 Starfighter join bands and floats, to parade down Kalakaua Avenue in Waikiki, to honor and pay respect to the Pearl Harbor survivors, our veterans, active duty military and their families.